Grew up… in Scotland. Though Ada has no Scottish accent – she is mute, and hasn’t spoken for decades. Instead, she’s always preferred to express herself through her piano playing. Her daughter, Flora, acts as her sign-language interpreter to the rest of the world. Living… in a strange, new place, New Zealand. Ada has been sold into marriage to a frontiersman named Alisdair Stewart, who has only proven to be a cold and distant husband. His first mistake was to leave Ada’s beloved piano behind. Visiting… her husband’s friend and fellow frontiersman, an illiterate man named Baines. Unlike Alisdair, Baines has taken an interest in Ada’s piano playing. In exchange for a bit of land, Baines has had her piano installed in his home. Interests… her piano. Ada, in the privacy of her own mind, does not believe herself to be silent. 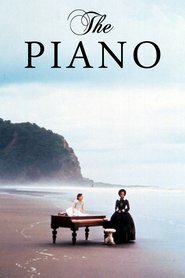 “That is because of my piano,” she thinks. It is with music that she speaks to the world. Relationship Status… embroiled in an odd affair with Baines. Ada has not taken kindly to her unwanted husband, Alisdair. It is with Baines that she can play her music, though he is teaching her another form of communication – the language of love. Challenge… freeing herself of Alisdair and making her own life. What began as an awkward arrangement with Baines has turned into a passionate and authentic love affair. Ada wants to find a way of freeing herself from her husband’s prison and learning to engage with the world once again. Personality… shy, weary, and (under the right circumstances) passionate. While Ada may seem like a tired, beleaguered woman, she contains all of the passion and energy of an artist. Beneath her quiet, doleful demeanor is a reserve of strength and independence. Ada McGrath's popularity ranking on CharacTour is #3958 out of 5,000+ characters. See our top-ranked characters and read their profiles.